Looking out towards the west of Ivins, UT, is a mature California Fan Palm growing by its self in the red desert. 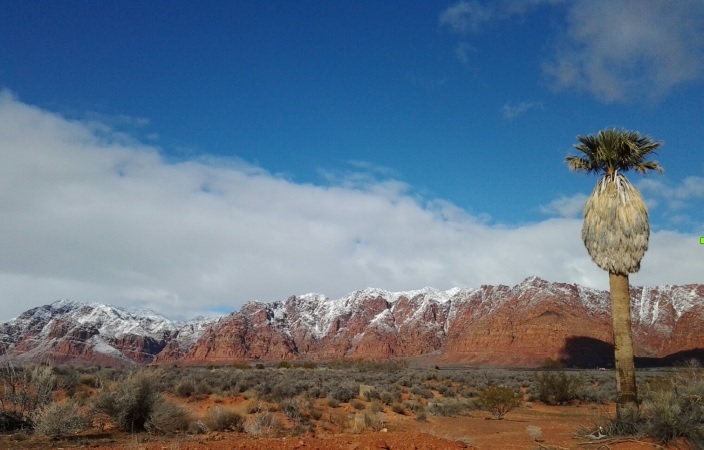 It looks amazing in the winter when the tall red rocks get a light covering of snow. The palm is located in the micro climate known as Utah’s Dixie. Look for the palm next time you are out in the Kayenta area of Ivins.